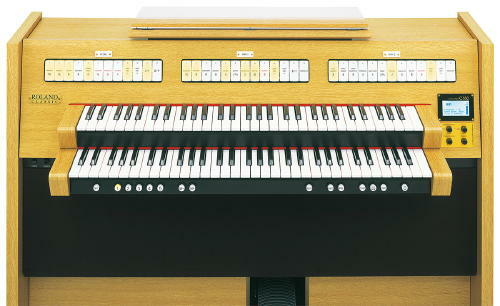 When a modern keyboard just won’t cut it for the sort of organ sounds you’re wanting to play, Roland’s C-330 Classic Organ could be just what you’re looking for. The unit features Rodgers highly acclaimed voice engine on board, offering gorgeous tone with highly flexible pipe-voicing capability, Windchest panning, and controls for Warmth, Presence, Chiff, and more. Custom settings can be stored to USB memory. 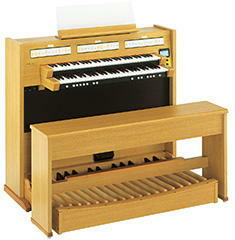 It’s built with a dual manual tracker-action 61-note keyboard and parallel concave 30-pedal pedalboard. The C-330 is equipped with a 4-channel digital amplifier and a patented RSS ambience engine for a rich, spatial sound. Hands-on controls are provided for instantly controlling the balance of the main speakers, the satellite speakers, and the reverb. The RSS technology allows for a smooth change of room size, wall type and reverb depth to create the perfect ambience.